I would like to provide a brief overview of my research program for the past decade or so. Although I began as a field researcher with the “mere” goal of understanding the languages I was working on in Brazil, the USA, and Mexico – along with their implications for Chomsky’s theoretical linguistics – I eventually reached a point in 2005 where it seemed to me that the data I was finally beginning to understand in the monolingual field situation of the Pirahas, where neither of us spoke the other’s language, until I finally learned to speak theirs, simply could not be made to “fit” the idea known as Universal Grammar. For this reason, in 2005, I published my paper “Cultural Constraints on Grammar and Cognition in Piraha: Another Look at the Design Features of Human Language,” in the journalCurrent Anthropology. This was met by both positive and negative comments, as is to be expected with any original research. After interacting with and learning from many of my critics and supporters, I decided that I should develop in more detail the conceptual foundations of my ideas. Therefore, I wrote the book, Don’t Sleep, There are Snakes in 2008. After that book appeared, I realized that I needed to further develop my model of language, in particular making the case that language is not innate. That resulted in Language: The Cultural Tool in 2012. 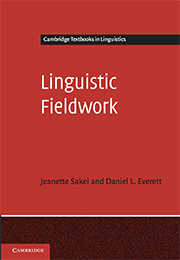 Looking around, I couldn’t see a textbook on field methods that taught young linguists how to do the kind of culture-language research that I considered essential, so I co-authored (with Jeanette Sakel), Linguistic Fieldwork: A Student Guide, also in 2012. Next there was a gap in the literature on what culture was. So I wrote Dark Matter of the Mind: The Culturally Articulated Unconscious, in 2016, in order to remedy this with a book that proposed a new theory of the connections between cognitive science, linguistics, and culture. After this, I realized that I needed to show how language and culture got to have the relationship that they have in the history of human evolution. So I wrote How Language Began: The Story of Humanity’s Greatest Invention, W.W. Norton, 2017. And now, just when I thought I might have everything behind me and be able to move on to a pet project on the evolution of cognition, I recognized another gap, a philosophy of language to undergird my theory of cognitive science, linguistics, and culture. Therefore, I am currently working on Peircean Linguistics: A Chapter in the History of Empiricist Thought (not coincidentally, this is similar to a 1966 book by Chomsky, Cartesian Linguistics: A Chapter in the History of Rationalist Thought – I believe that Descartes’ philosophy never really panned out well for linguistics and that C.S. Peirce’s semiotics and pragmatism provide a much better foundation for linguistics as I conceive of it). Over the years I have had grants totaling more than three million dollars for Amazonian research, from the European Commission, Brazil, the Arts and Humanities Research Council and Economics and Social Research Council of Great Britain, the National Endowment for the Humanities, and the National Science Foundation, among others. I am currently between grants.My research these days is focused mainly on language and culture. I spend most of my time analyzing the large amounts of data I have already collected over the years and writing books. (Mestrado em Linguistica, UNICAMP) – Check it out, you can now download all dissertations done in Brazil, including this old thing. Why There Are No Clitics was written when I was a formal linguist. 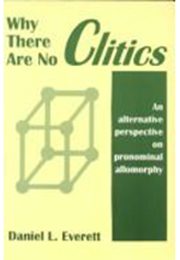 Nevertheless, I think that the basic thesis is right – clitics, pronouns, and affixes may be treated as allomorphs. For more information view the book’s profile page. Don’t Sleep, There Are Snakes: Life and Language in the Amazon Jungle, based on my thirty years of living and contact with these wonderful folks, was published by Pantheon Books. It was published simultaneously by Profile Books in the United Kingdom. 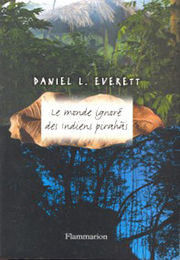 It has also been published in Germany by Random House DVA and in France by Flammarion. It also out now in Mandarin, Japanese, and Korean. The book is illustrated with the photography of Martin Schoeller. (My translation. Published in Brazil, 1982) (Why mention Bible translation on the research page? Because translation is research, regardless of the content being translated, and is one of the best tests of one’s knowledge of the grammar, semantics, and pragmatics of a language.) The audio version of my translation of the Gospel of Mark in Piraha is available on the web from Gospel Recordings.